Today ArenaNet revealed Shiro Tagachi as a new legend for the revenant profession coming to Guild Wars 2: Heart of Thorns. The revenant channels legends from Guild Wars lore, affording player characters new abilities and weapons taken from Tyrian history. 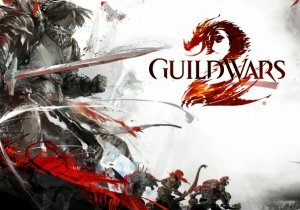 Long-time Guild Wars fans will recognize Shiro Tagachi from Guild Wars: Factions. ArenaNet designer Roy Cronacher provides further detail on the dual-wielding sword weapon set and the skills specific to the Shiro legend, along with a handy wrap-up of all revenant legends, in a new blog posted on the official Guild Wars 2 website (https://www.guildwars2.com/en/news/slashing-devastation-and-a-memorable-assassin/). Shiro gives the revenant more mobility with assassin-like abilities that deal physical damage. One such skill is Rift Slash, which allows players to slash foes with dual swords creating an unstable rift, damaging enemies nearby. Precision Strike is another skill that arms players with blades that they can quickly throw out to both damage and chill enemies. ArenaNet will reveal the first in-game look at Shiro when Cronacher joins host Rubi Bayer on Points of Interest airing this Friday, July 17 at 12 p.m. PDT on the official Guild Wars 2 Twitch channel (http://www.twitch.tv/guildwars2).